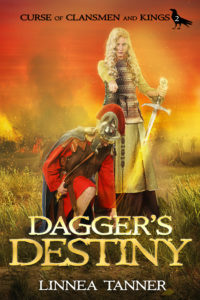 Yet, when Catrin again reunites with Marcellus, she is torn between her love to him and duty to King Amren. She must ultimately face her greatest challenger who could destroy her life, freedom, and humanity. Will Catrin finally break the ancient prophecy that looms over her kingdom? Will she abandon her forbidden love for Marcellus to win back her father’s trust and love? Can King Amren balance his brutality to maintain power with the love he feels for his daughter?